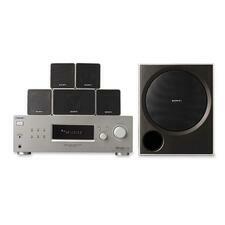 Home theater system brings awesome sound to movies and music with 5.1 channel surround sound. 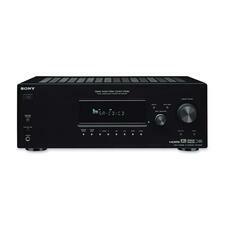 Audio-enhancing technology up-converts your DVD movies to Full-HD 1080p to add more detail to your listening experience. Selectable speaker layout produces ambient surround sound in a variety of speaker configurations to deliver lifelike audio regardless of the shape and size of your room. Wall-mountable speakers make it easy to create customized speaker layouts, even in rooms with space limitations. With USB playback, you can enjoy music, videos and photos directly from your USB devices or external hard drive. Audio return channel lets you connect easily to your TV with a single HDMI cable (sold separately). Experience all your favorite smart content like web browsing, TV apps, games and more on a complete 5.1 channel theater system. With HD Upconversion, DVD video is auto enhanced to bring you near HD quality. You'll see your favorite titles with greater details and clarity that you've never seen before. The HDMI connection transmits digital video and audio over a single cable, delivering a first-rate entertainment experience. DTS surround processes stereo content to deliver an optimized surround sound experience with enhanced bass response, clear dialog and consistent volume levels. 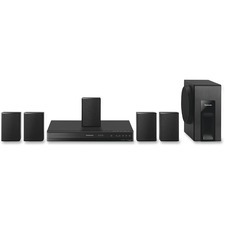 Dolby True HD delivers near studio-quality HD audio with your home entertainment system. 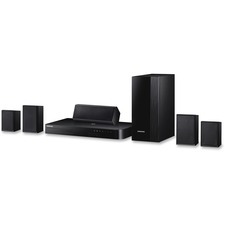 Fill the room with quality sound from all angles with the HT-DDW790 component home theater system. The perfect companion to your television and DVD player is this six-speaker setup, with its monstrous total output of 800 watts. And don't worry about wasting your time with calibration. An automatic feature adjust the levels for you, creating an optimum sound field for movie watching. The 8" subwoofer provides deep bass with dramatic effect and Dolby Pro Logic II decoding sends specific audio to individual speakers, delivering an incredibly realistic listening environment. Deliver serious power to your surround sound system with the advanced performance of the STR-DG510 audio video receiver. Featuring 500 total watts from five channels and A/V Sync for precision integration with today's flat panel televisions, this system provides amazing sound reproduction for TV programs and movies. And powerful HDMI connectivity allows uncompressed 1080i video to pass directly to your HDMI-compatible television for crystal clear images. Other features like Digital Cinema Sound and digital cinema auto calibration recreate the mood that Hollywood's finest intended, and they do it automatically.